One of the most creative aspects of participating in an anthology centers on collaboration―it's an ensemble cast, if you will. By its very nature, an anthology serves as a “casting call” for diversity; it’s great exposure for both the new and experienced writer who learn from each other by virtue of differences in voice, writing styles, and story. The beauty of our new anthology The Life Unexpected is on full display, not just within its cream-colored pages and the variety of stories and poems, but its cover, which employs that most powerful of “arrows” or literary devices in the writer’s quiver―the metaphor. We all learned about these devices: simile, hyperbole, onomatopoeia, and metaphor in high school English classes, remember? Aristotle described metaphor as this: “The act of giving a thing a name that belongs to something else.” Using metaphor to describe or portray universal concepts: for example, love, desire, jealousy, hope, grief, depression, sickness, betrayal … is powerful. The "truth" of the metaphor represents something you experienced, not just as a writer, but as a human being. The image possesses a universal quality. In The Life Unexpected, many readers have commented how much they love the cover. There’s a little history behind that cover, which I want to share. The anthology editors went through many discussions and iterations of cover ideas, running up against, at times, worries about copyright infringement by our publisher. In the end, the image that served us well was a bit of serendipity; one of those unforeseen, unexpected gifts that often accompany a creative work of art. 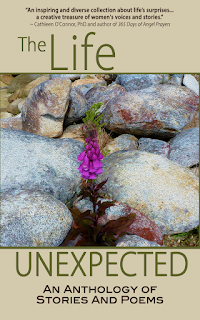 The foxglove flower graces our cover; the flower growing improbably―willfully, out of a barren landscape of rock. Interestingly, the artistic rendering of that image is from a photograph of foxglove I captured on the South Island of New Zealand, near Lake Tekapo when I traveled there with my son. This photograph sat in my files for over two years. As I trolled through my pictures one summer morning looking for book cover ideas (we were working on a limited budget), one stood out, although at the time I had no idea of the history of the foxglove. The history of the plant, with its bell-shaped tubular blossom, is this: It is one of the few plants that escaped from the well-cultivated garden to naturalize in New Zealand. Wild and independent, it seeds itself over and over, year after year and grows in riotous profusion and abandon along the grassy slopes leading to Lake Tekapo, whose brilliant turquoise color comes from the finely-grained rock flour ground by glaciers. One of the great challenges we face as writers is offering the reader charged and transcendent images. 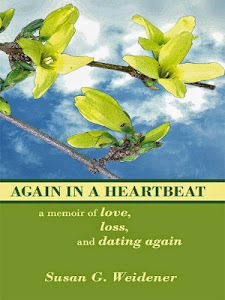 In my memoir, Again in a Heartbeat, I used forsythia as metaphor for the fleeting nature of love. John had planted those bushes … how could they bloom so brightly when he was gone? Like love, the forsythia bursts into a wall of sunshine, only to quickly wilt and fade … gone in a heartbeat. 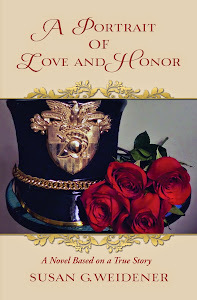 Memoirs, journals, poetry and the well-told novel focus on our most intimate and significant moments and experiences. Metaphor is neither random nor lacking in purpose, just as self-understanding, healing and wisdom are integral to our journeys as writers. We must be attentive to the images, which should carefully be chosen to reflect the larger theme. How about you? Did you employ an image in your novel, memoir or poem, or book cover, and, if so, what was it and how did you decide on it? The Life Unexpected: An Anthology of Stories and Poems created by sixteen writers from the Philadelphia area offers diverse perspectives and experiences of women’s lives as told through fiction, memoir and poetry. In this compact collection life’s surprises and revelations along the journey of ‘the life unexpected’ are revealed offering a new way of looking at the world. 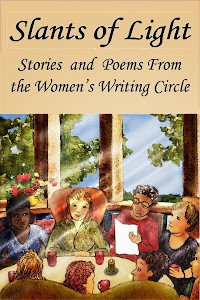 The Life Unexpected (Lucky Stars Publishing) is a collaboration of two Philadelphia-area writing groups, Just Write and the Women’s Writing Circle. 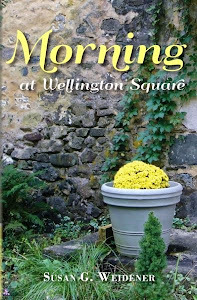 It features ten original photographs that enhance the prose and poetry. A portion of the proceeds benefit the Women’s National Book Association, a nonprofit promoting reading and women writers in community.